A week full of apple activities in my PreK classroom involved crafts, sensory fun, fine motor play, and two tasting experiences. We also had our dramatic play Pumpkin Patch, which carried over from Farm week and continues through Pumpkin week. The sensory bin for apple week includes a base of split peas. I made apples from pipe cleaners so that they were magnetic. This idea was found at Modern Preschool. I also added cinnamon sticks for my students to rub together for added scent. 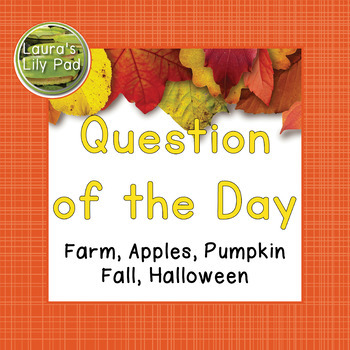 Apples are both from a local craft store as well as Attributes Apples from Learning Resources. Somewhere along the way I picked up an apple shaped colander and ice cube tray to add to my collection. I ended up switching out the apples in the coverall game for the Attribute Apples, since they seemed to stand up better and not roll around as easily for little hands. These games come from Recipe for Teaching. We also played this apple spinner graphing game with linking cubes. Students who played did fairly well. I think the cubes were easier to keep in place than pom poms while spinning. I found this game at Playdough to Plato. For this fine motor center students used cubes to build an apple tree, an apple, the letter A, and our letter focus of the week, which was d. The apple themed pages can be found here. The letter d page is part of my Lowercase Alphabet Linking Cubes and Triangles Set. It can also be found in my Alphabet Bundle. This set of apple orchard magnets were meant to be used with play dough, but since I am always looking for new ideas for my easel, I decided to use them this way. You can find them at LifeOverC’s. I was happy to discover that the large binder clips would allow me to have a couple small containers on this side of my easel to hold magnets or other items. I was excited to use my brand new alphabet magnets this week, so I decided to put up these d words on the other side of my easel for the week. Of course, one “d” disappeared on the first day of the week. Still happy with the magnets and may end up getting another set sometime soon. The only thing that would make them perfect is if the t was straight on the bottom. 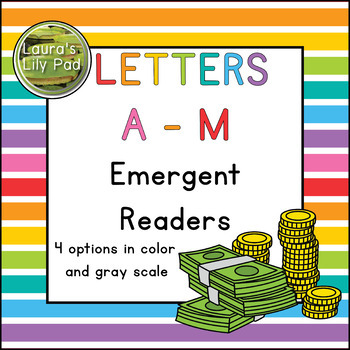 The printables come from This Reading Mama. I cut apart the pages and laminated for use on my easel. My students love to use Qtips to paint. I found these sets on 1+1+1=1. I put out apple colors for painting. I also put out the letter D qtip painting since that is our focus letter of the week. I have a few students who will sit at a cutting center and go through pages and pages of cutting. Once we are finished cutting I add these to the scrap bin for scrap bin art. Scrap bin art means getting out the scrap bin, glue, and scissors and letting them just create whatever they want. Other times I let students take home their cutting in an envelope or set it up for students to glue their pieces down like a puzzle or in a pattern when finished. This set is from This Reading Mama. My students made these pumpkins during farm week to add to our pumpkin patch. They are attached with clothespins so that the students can practice some fine motor skills to pick a pumpkin during pretend play. The front of the hayride is our car from the auto shop, with just a larger hole in the top so kids can climb inside. The hay ride area has hay that students cut in it. The walls have our corn stalks that students painted the week before. All of the printables you see came from Pocket of Preschool’s Pumpkin Patch. I like that she has many suggestions for the students creating portions of the pretend play. My students love pretending with the real popcorn machine. This was given to me personally and we do not use it enough for real to justify keeping it. However, knowing that I use it every year in dramatic play makes me find a place to store it. The cookies hiding out on the lower shelf were made by me. I will have to find a close up to share another time. My youngest wanted to go to IKEA recently, which caused me to upgrade my cash register. There were several other things I would have liked to buy for my preschool class, but I kept it to just this. My students happily worked with paper from the scrap bin to make lots of money for the drawer. I am happy to say that this register does not eat money like my last one did. The last one would get money stuck inside so that I had to unscrew the bottom to rescue it. We also made apple sauce in the crock pot and did an apple taste test. My youngest was happy that there was left over apple sauce for her to eat. Besides the apple suncatchers we also completed some marble art that I will share along with our Pumpkin week items.